VJ Books Presents Author Brian Herbert! Brian Patrick Herbert as born June 1947. He is the son of famed science fiction author Frank Herbert and is the author of multiple New York Times bestsellers. He has won several literary honors and has been nominated for the highest awards in science fiction. 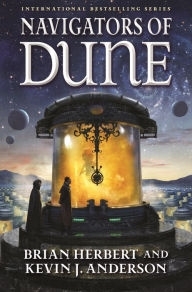 In 2003, he published Dreamer of Dune, a moving biography of his father that was a Hugo Award finalist. 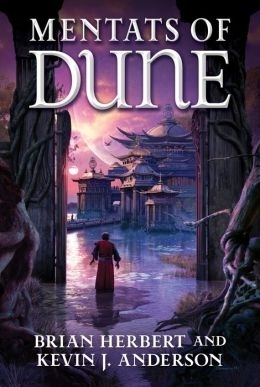 His other acclaimed novels include Sidney's Comet, Sudanna Sudanna, The Race for God, and Man of Two Worlds (written with Frank Herbert), in addition to the Hellhole trilogy and twelve Dune series novels coauthored with Kevin J. Anderson. In 2013, Brain published Ocean, an epic fantasy novel (coauthored with his wife, Jan). Signed Hardcover Book 2005 NY: Doherty/Tor First edition, first printing, mint, new/unread in a flawless dust jacket, signed by both authors. Each dust jacket is protected in an acid-free archival quality acetate cover. Signed Hardcover Book 2002 NY: Tor First edition, first printing, mint, new/unread in a flawless dust jacket, signed by BOTH authors. Each dust jacket is protected in an acid-free archival quality acetate cover. Signed Hardcover Book. 2001 NY: Bantam Spectra First edition, first printing, mint, new/unread in a flawless dust jacket, signed by both authors. Each dust jacket is protected in an acid-free archival quality acetate cover. Signed Hardcover Book 2003 NY: Tor First edition, first printing, mint, new/unread, flawless dust jacket, signed by author. Signed by BOTH authors. Each dust jacket is protected in an acid-free archival quality acetate cover.Anderson. Signed Hardcover Book March 2011 NY: Doherty First edition, first printing, mint, new/unread in a flawless dust jacket, signed by both authors. Each dust jacket is protected in an acid-free archival quality acetate cover. Signed Hardcover Book March 2013 NY: Doherty First edition, first printing, mint, new/unread in a flawless dust jacket, signed by both authors. Each dust jacket is protected in an acid-free archival quality acetate cover. Signed Hardcover Book August 2014 NY: Doherty First edition, first printing, mint, new/unread in a flawless dust jacket, signed by both authors. Each dust jacket is protected in an acid-free archival quality acetate cover. 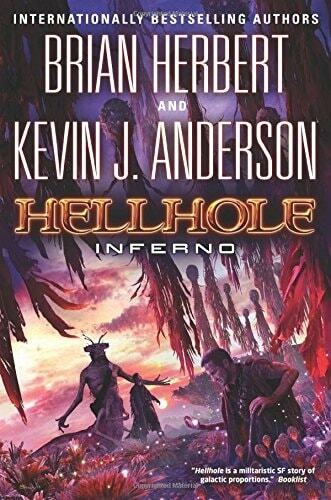 Signed Hardcover Book 2006 NY: Tor Books First edition, first printing, mint, new/unread in a flawless dust jacket, signed by BOTH authors. Each dust jacket is protected in an acid-free archival quality acetate cover. Signed Hardcover Book. September 2016 NY: Tom Doherty Associates First edition, first printing, mint, new/unread in a flawless dust jacket, signed by both authors. Each dust jacket is protected in an acid-free archival quality acetate cover. Signed Hardcover Book September 2008 NY: Tom Doherty & Associates First edition, first printing, mint, new/unread in a flawless dust jacket, signed by both authors. Each dust jacket is protected in an acid-free archival quality acetate cover. Signed Hardcover Book September 2008 NY: Tom Doherty & Associates First edition, first printing, mint, new/unread in a flawless dust jacket, signed by both authors on a special bookplate on FFEP. Each dust jacket is protected in an acid-free archival quality acetate cover. Signed Hardcover Book 2007 NY: Tor First edition, first printing, mint new unread, in a flawless dust jacket, signed by BOTH authors. Each dust jacket is protected in an acid-free archival quality acetate cover. Signed Hardcover Book January 2012 NY: Doherty First edition, first printing, mint, new/unread in a flawless dust jacket, signed by both authors. Each dust jacket is protected in an acid-free archival quality acetate cover. Signed Hardcover Book September 2009 NY: Tom Doherty & Associates First edition, first printing, fine in a fine dust jacket, signed by BOTH authors, remainder marked. Each dust jacket is protected in an acid-free archival quality acetate cover. Author Signed Bookplate. Self-adhesive label, approximately 3" x 4" (though sizes may vary slightly), signed by Kevin J. Anderson and Brian Herbert. Author Signed Trade Paperback October 2013 CO: Wordfire Press First Trade Paperback edition, first printing, mint, new/unread in pictorial wraps, signed by both authors. Author Signed Trade Paper Book 2005 NY: Forge. First Trade Paperback edition, first printing, mint, new/unread in pictorial wraps, signed by the author. Author Signed Hardcover Book. 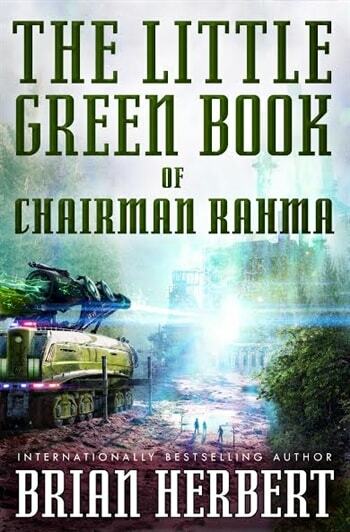 July 2014 NY: Tor Books First edition, first printing, mint, new/unread in a flawless dust jacket, signed by the author. Each dust jacket is protected in an acid-free archival quality acetate cover. Author Signed Trade Paperback January 2012 NY: WordFire First Trade Paperback edition, first printing, mint, new/unread in pictorial wraps, signed by the author. 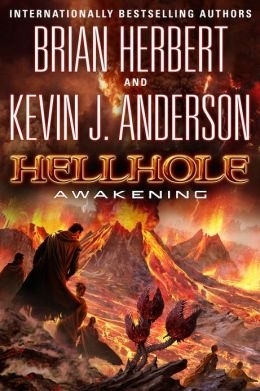 Author Signed Trade Paperback Book. 1990 NY: Wildside Press First Thus Trade Paperback edition (2007 revised edition), first printing, mint, new/unread in flawless pictorial wraps, signed by the author. 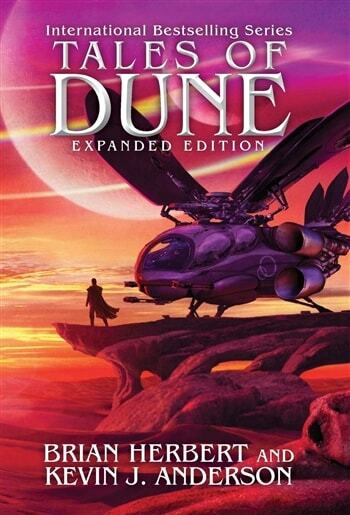 "Dune: A Whisper of Caladen Seas"